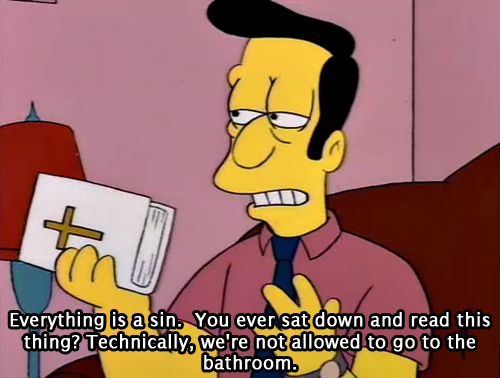 everything is a sin. . Wallpaper and background images in the Atheism club tagged: the simpsons sin bible funny cartoon christianity god. This Atheism photo contains anime, comic book, manga, and cartoon. So true. Even though I'm not a big fan of The Simpsons, this is still a really good point.